5 reasons why you must have a travel insurance cover - Corporate Risks India Insurance Brokers Pvt. Ltd.
Away from the hustle and bustle of life, an overseas vacation comes as a welcome break. But, if you do not plan your trip meticulously, it could turn out to be a harrowing experience. Besides planning for the itinerary, including travel tickets, accommodation and the required paperwork, insurance is key to ensuring a fun-filled sojourn. According to experts Indian tourists usually do not opt for insurance while traveling overseas, especially for locations where travel insurance is not mandatory, but natural calamities, outbreak of political violence, theft or health emergencies could throw a spanner in the works of all your travel plans, if you do not have travel insurance. 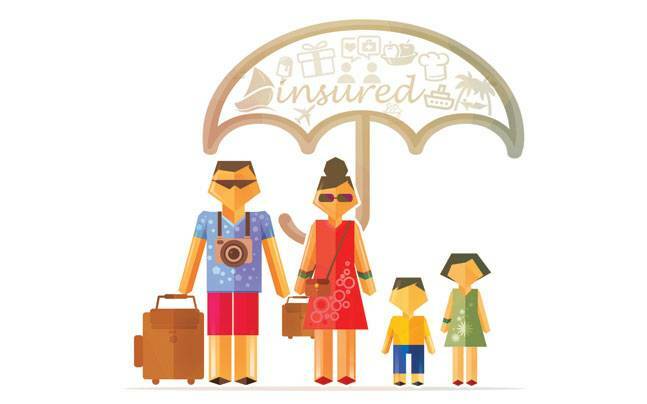 According to a survey by private general insurance major ICICI Lombard, only 40 per cent of travelers opted for a cover, despite the fact that 90 per cent of those polled were aware of travel insurance. According to Sanjeev Mantri, Executive Director, ICICI Lombard General Insurance, there are a host of travel insurance plans available in India, including covers for medical emergencies, personal liability, loss of passport, loss of baggage, delay or cancellation of a trip, emergency cash advance, political risks and catastrophe evacuation. Here are five reasons why you must have a travel insurance cover in place before you head overseas. There can be nothing more harrowing than losing one’s passport in a foreign country. In case you do not speak the local language, communicating can be a challenge. But a travel insurance can be handy under such circumstances. A call to the emergency number would not only help you get a duplicate passport, but all the related expenses incurred is also taken care of by the insurer. Frequent travelers would know that misplacing or losing one’s baggage in transit while taking multiple flights is very common. In some cases, it could take many day to track the baggage and get it back. In such a situation, if you have valid travel insurance, the insurance company would compensate you. If you happen to lose your baggage, the insurer would also pay you a per-approved sum as stated in the policy immediately to cover for your losses. Here, Mukesh Kumar, Executive Director, HDFC ERGO General Insurance notes that in case of loss of handbag, any form electronic items present in it will not be covered. Watch Out: The deductibles, exclusions and the cap on expenses when it comes to reimbursements. You may be in the best of shape, but you never know when you experience a health emergency, including injuries, for which immediate medical attention may be required. You must also know that most medical insurance policies availed in India are useless beyond the borders of the country. Therefore, medical cover is an essential part of your plans, and that’s provided as part of the travel cover. Travel insurance plans cover emergency medical and medical assistance as well as related transportation costs. Healthcare expenses in the West can be a serious setback if you are not supported by insurance. “In case of any medical emergency on your trip, your insurance plan would cover diagnostic tests, ambulance charges, in- and out-patient treatment, evacuation charges and travel costs to hospital. Most importantly, the plan could give you the facility of cashless hospitalization,” says Mantri. Emergency dental treatment is provided as a part of such plans. Watch Out: Read the fine print because pre-existing illnesses are not covered in most travel insurance plans. However, if pre-existing ailments need to be taken care of, then such plans too are available in the market. However, suicide, insanity and injuries arising as a result of adventure sports, are not covered by most plans. Last-minute illness, personal emergency or a death in the family could result in cancelling your overseas trip. This is bound to cause some monetary loss as many bookings are non-refundable. A travel plan that has cancellation coverage will come to your aid at such times through reimbursements of such costs. Rajagopal G., Senior Vice President & Head of Operations & Claims, notes, “Disease, injury or illness must be disabling enough to reasonably cause a trip to be cancelled and supported by medical records. Reimbursement will be for the forfeited, non-refundable prepaid payments made by the insured prior to the illness that caused the cancellation.” Cancellation compensation is also applicable when a trip is cancelled due to a terror attack, strikes and weather related events. Other than this, expenses incurred as a result of delays, interruptions or a missed fl ight is reimbursed. The option of emergency cash advances is yet another feature which comes handy when stranded. Watch Out: For most insurers, there is a specified list of events under which cancellation claims are entertained. So be careful of the exclusions before you opt for one. You never know when a natural or man-made calamity is about to strike. Tsunamis, earthquakes, volcanic ash clouds, political uprisings and terrorist attacks are all instances where emergency evacuation is a must. If you have an insurance cover, the onus is on the company to evacuate the insured person back to his or her homeland and provide medical help when necessary. Watch Out: Check the assistance provided and the scope of coverage. You may come across a list of places (generally conflict areas) where this facility is not available. This may look like a frivolous point. But when stranded in an unknown location in a foreign land, access to 24×7 emergency helpline comes in handy to get guidance and directions in adverse circumstances. Therefore, it is always advisable to carry a copy of the insurance document while travelling.